Do you have an automated gate that has gotten a little bit squeaky? The noise that your gate makes might be a sign that the moving parts are starting to show signs of wear and tear. The noise, or less than smooth and quick operation of your gate, should be addressed before the degradation has a chance to become worse. In most cases, this will be a simple matter of replacing a few parts. Our technicians can usually take care of your gate's maintenance and repair needs in less than a day of your call so that you can enjoy a smoothly operating and quiet gate. We can fill your automated gate opener repair and maintenance needs, as well as replace your gate and gate opener when needed. Our gate technicians can work with any make, model, and style of gate, including the occasional customized gate. We work in the Los Angeles area, including Agoura Hills , Santa Monica, Malibu and Camarillo , so you can be sure that we are used to working with clients who have high standards. Owners of high-end homes care about their gates because they're part of a home security system. That means they're not going to accept less than the best when it comes to gate repair and maintenance systems. We’re capable of not only meeting those expectations but also exceeding them by taking care of your gate’s needs as if it was ours. The number one thing to know about Los Angeles automated gate repair is that you should call us as soon as you notice an issue with your gate. If the gate seems just a little slower to open than it used to be or has become noisy, or if you routinely have to click your remote control or enter your code two or three times to get the gate to respond, this may be a sign of developing wear and tear in the moving parts or an actual malfunction in a gate opener component. It’s easier and cheaper to correct the problem as soon as you notice it than it is to wait until the gate doesn't open or close anymore. In most cases, it’s not only possible but also more cost effective, to repair an existing gate opener rather than install a new one. Even better, most major repairs to your gate can be prevented through regular maintenance. Your gate opener contains most of the moving parts for an automatic gate and should be routinely checked for signs of wear and tear, low batteries, impending short circuits, and damage to the gate opener's housing unit. Our technicians can repair any signs of degradation to gate opener parts before it has a chance to cause a malfunction in your gate opener that prevents your gate from functioning as well as it could or even opening at all. However, there may be times when it’s just necessary to replace the gate opener. Electric gate openers are especially finicky in areas with a lot of wildlife that may have an instinct to chew on things or which are humid and rainy climates or which are prone to flooding because they can short-circuit quickly if the housing isn’t watertight. If you are thinking about getting a new gate opener, you should make sure it’s one that is powerful enough to get your gate open. Many high-end gates are heavy and durable, which means that they need a more powerful gate opener that will have an easier time moving a heavy weight. We can work with you to assess the type of door opener that will work best with your needs. We also service gates for gated communities and commercial operations. Our commercial gate repair and installation services include professional grade openers, motors, operators, card readers, remote controls, entry systems, and loop systems to ensure that your gate becomes a strong point in your property’s security system. 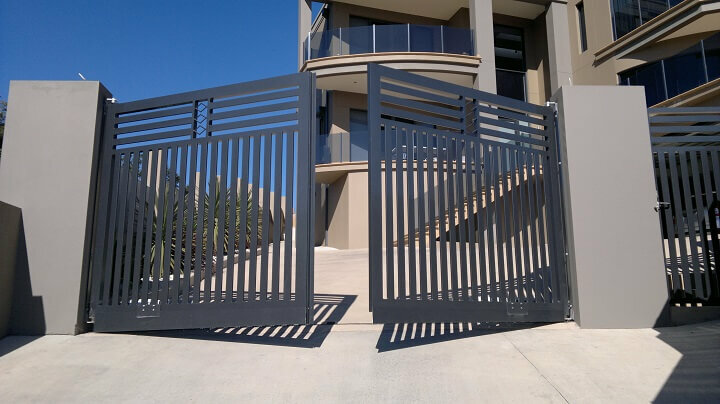 Regular maintenance of all components is especially important for gated communities and commercial operations because these gates tend to see higher levels of use and can wear out faster than most residential applications do. If a commercial gate breaks down, we can get out to the site quickly once we get a phone call to reduce the inconvenience to customers and employees. We can prioritize a malfunctioning commercial gate because, as a business ourselves, we understand the importance of making a good first impression. A malfunctioning gate can discourage customers who wonder how many other elements you might be neglecting if your gate won’t open. You can avoid the embarrassment and lost business caused by a malfunctioning gate by giving our technicians a call as soon as an issue is reported. When you call our gate opener repair professionals, you’re getting the best possible service at the best possible price. Our technicians can arrive within hours of your call, give you an upfront quote with no hidden fees or charges, and do the job right the first time. 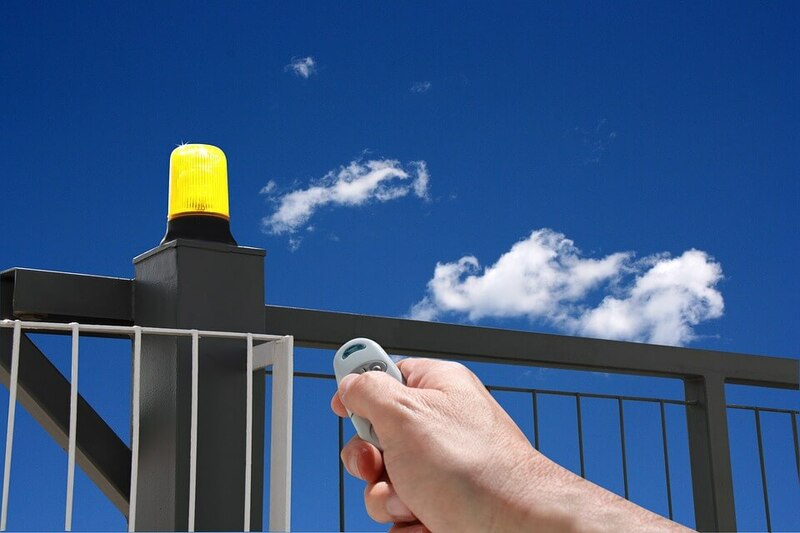 Because we know that gate openers often malfunction at inconvenient times, you can call us at any time of the day or night for quick repair of a gate that suddenly won’t work. Our technicians will do their best to be on time for their scheduled appointments and, in the rare case where they're running late or can't make it, they'll try to give you a call to let you know. Be sure to read the reviews of our satisfied customers to see what our residential, gated community and business clients think of our services.